Sleekly sophisticated and reliably stong, these expertly crafted stands will securely hold your speakers and simultaneously enhance their sound quality. - M8 Zinc plated base isolation spikes supplied standard. 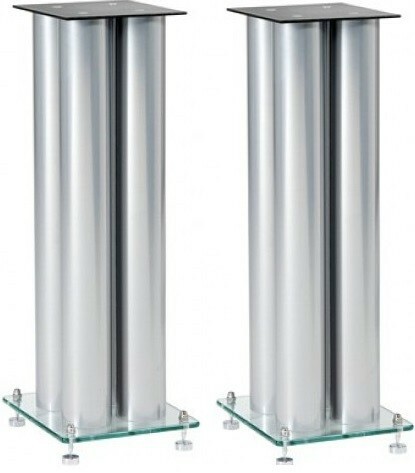 Custom Design RS304 Reference Speaker Stands (Pair) combines sophisticated looks with the expert hand craftsmanship you would expect from this respected brand. 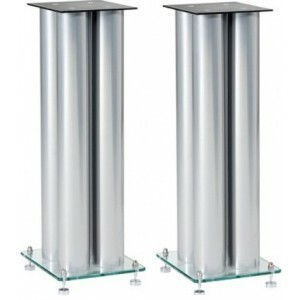 These finely crafted speaker stands showcase a quadri design and are comprised of 4mm Inert Acoustic Steel top plates and 5mm Inert Acoustic Steel base plates, alongside two boxes of inert filler and M8 zinc plated fixing bolts. As a result, you can be assured that the design is reliably rigid to securely support your speakers, while also delivering the isolation techniques to truly enhance the sound performance of your system. The winning combination of inert acoustic steel top and base plates significantly reduces resonance vibration and its accompanying noise. Consequently, you can sit back and enjoy an enhanced sound performance free from unnecessary noise. A pioneering material utilised by Custom Design, its viscoelastic properties transform kinetic energy into heat. By changing the resonance noise vibration energy, the true performance of your speakers is allowed to take centre stage.